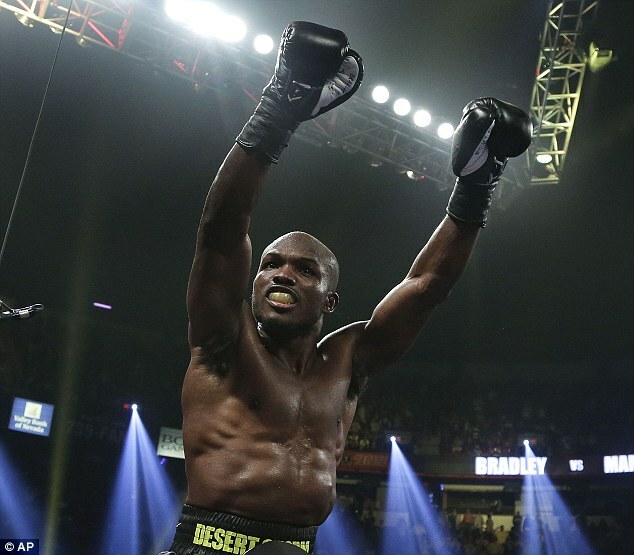 Timothy Bradley added Juan Manuel Marquez's illustrious name to his increasingly-impressive resume in Las Vegas on Saturday night as he prevented the Mexican becoming a five-weight world champion. 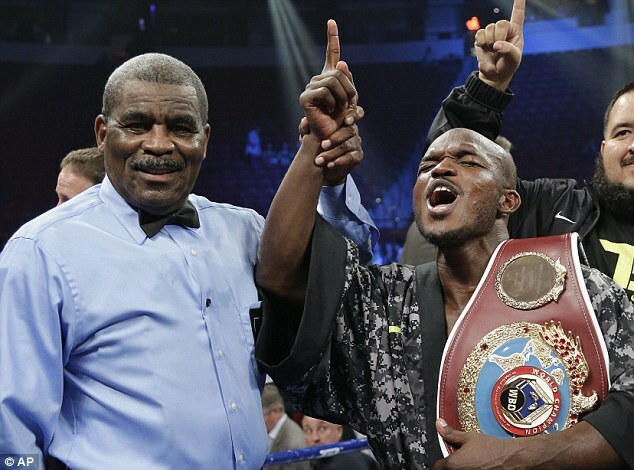 He outpointed the ageing star to retain the WBO welterweight title he controversially won from Manny Pacquiao last year and for which he was much-maligned by the boxing fraternity . But the 30-year-old from California fought a punch-perfect fight against the man who himself stunned Pacquiao with a one-punch knockout last December, albeit winning by split decision as one judge inexplicably awarded the fight to the eventual loser. 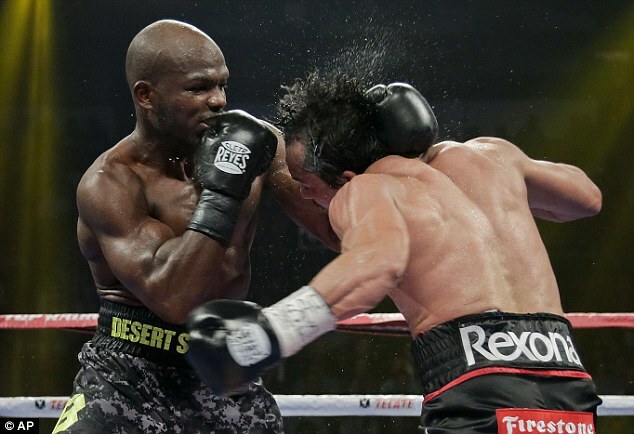 Bradley has struggled for recognition despite his unbeaten record and had taken unnecessary risks in his last outing, going toe-to-toe with the dangerous Ruslan Provodnikov before narrowly outpointing the Russian. 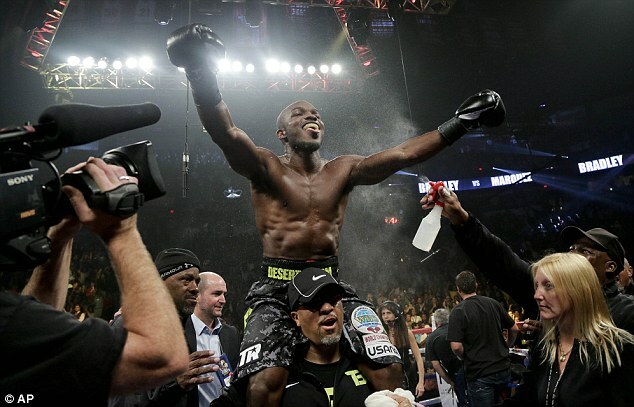 He reverted to type against Marquez however and proved to be one step ahead of the 40-year-old for the duration of an entertaining if tactical contest. After a cautious opening three minutes, the champion seized the initiative at the start of the second session, darting in and unloading before seeking his refuge at distance. Marquez, meanwhile, was struggling to close that gap and any shots he did land were immediately and forcibly reciprocated. 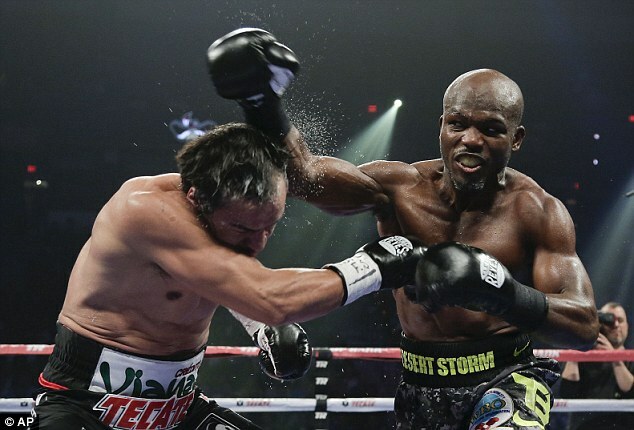 The Mexican veteran managed to stem the tide in the third round of what was becoming an increasingly tactical affair but he continued to struggle with Bradley's speed and movement in the fourth. And Marquez barely landed a shot in the fifth session as the younger man kept his poise and the end of each three-minute spell was marked by the contrast in the celebrating Bradley and his ever more frustrated opponent. The American was opening up a clear lead by pinching the rounds from his bewildered adversary as Marquez failed to respond to the frequent and punishing raids from the champion. Even when Bradley's pace slowed, as in the ninth round, Marquez was unable to capitalise, missing with alarming regularity as he was left chasing shadows. The fight exploded into life midway through the 10th session as Bradley engaged momentarily only to immediately retreat, as if realising his folly. With six minutes remaining, Marquez had little option but to go for broke but the risks brought few rewards as Bradley took advantage on the counter. The American had merely to hear the final bell to hold on to his belt and he withstood the best his weary challenger had to offer, even staggering him in the dying seconds. 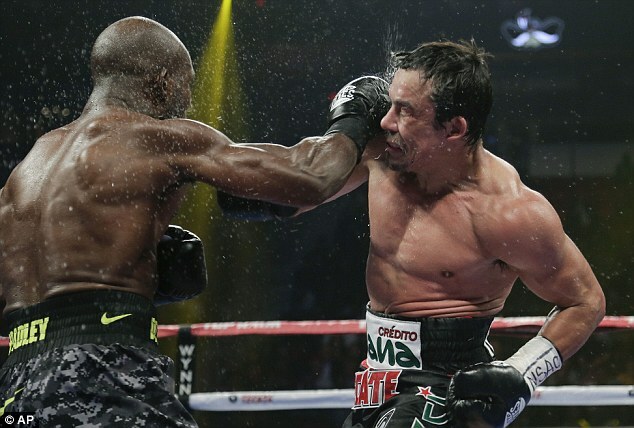 Despite one judge awarding Marquez the decision by two rounds, scores of 116-112 and 115-113 for Bradley ensured the belt remained in his hands as he showed why he is sure to be considered a future opponent for pound-for-pound king Floyd Mayweather Jnr.